So June 4, 1942 was the famous Battle of Midway, one of two battles that ultimately changed the course of the Pacific War (the other being Guadalcanal). Significant doses of good luck, skill, bravery, and sacrifice, as well as the Japanese admiralty’s over-confidence lead to a decisive American victory during a time when the ultimate end of the war was far from predictable. 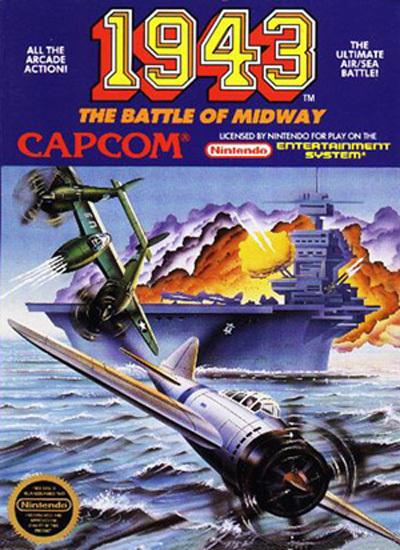 1943 – The Battle of Midway (1987) takes ideas from the epic battle and presents them in an arcade shoot ’em up that served as a sequel to 1942 (1984). Never mind the fact that P38’s were not present during the battle (or the fact that it took place in 1942 rather than ’43); the battle merely serves as color for a game about shooting down aircraft and sinking warships. The game is also fairly unique in that it allows players to choose how to power-up their aircraft at the end of each level (something a bit more developed in Jets ‘n Guns). While the arcade and NES versions have vastly different soundtracks, I prefer the anthem-style “Stage 1” theme from the NES version (1988) the most. The composer of this song is unknown. The “Stage 1” theme to 1943 is a pretty simple track. After a short introduction for the P-38 taking off (the drums not only draw the player in but also replicate the sound of an aircraft engine), the first section of the song begins, which recalls the Air Force anthem and the feel of ‘flying high into the sky’ and the myth of blasting away through intense dogfights. The second half of the song sounds a bit more like a football anthem, really. In this sense, both parts of the main theme are stereotypically American in construct. A fairly catchy, enjoyable tune. A couple interesting things about 1943. 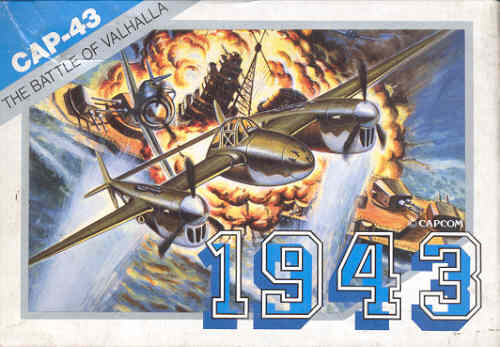 First, the Japanese title for the Famicom version is 1943 – The Battle of Valhallah. Read the rest of this entry ? You are currently browsing the Video Game Music Daily blog archives for the day Friday, June 4th, 2010.